More than 100 giant planets outside our solar system that may potentially host moons capable of supporting life have been identified. The finding, published in The Astrophysical Journal, will guide the design of future telescopes that can detect these potential moons and look for tell-tale signs of life, called biosignatures, in their atmospheres. There are currently 175 known moons orbiting the eight planets in our solar system, said Stephen Kane, an associate professor at the University of California, Riverside in the US. "While most of these moons orbit Saturn and Jupiter, which are outside the Sun's habitable zone, that may not be the case in other solar systems," said Kane. The researchers, including those from the University of Southern Queensland in Australia, identified 121 giant planets that have orbits within the habitable zones of their stars. At more than three times the radii of the Earth, these gaseous planets are less common than terrestrial planets, but each is expected to host several large moons. "Including rocky exomoons in our search for life in space will greatly expand the places we can look," he said. 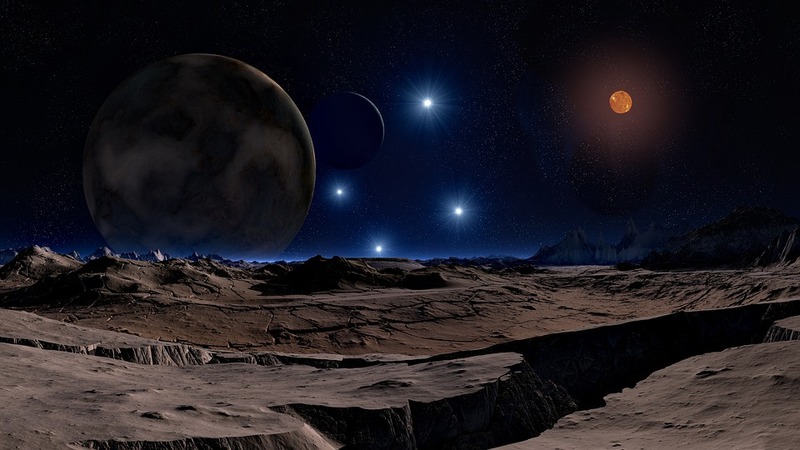 Since the 2009 launch of NASA's Kepler telescope, scientists have identified thousands of planets outside our solar system, which are called exoplanets. A primary goal of the Kepler mission is to identify planets that are in the habitable zones of their stars, meaning it is neither too hot nor too cold for liquid water - and potentially life - to exist. 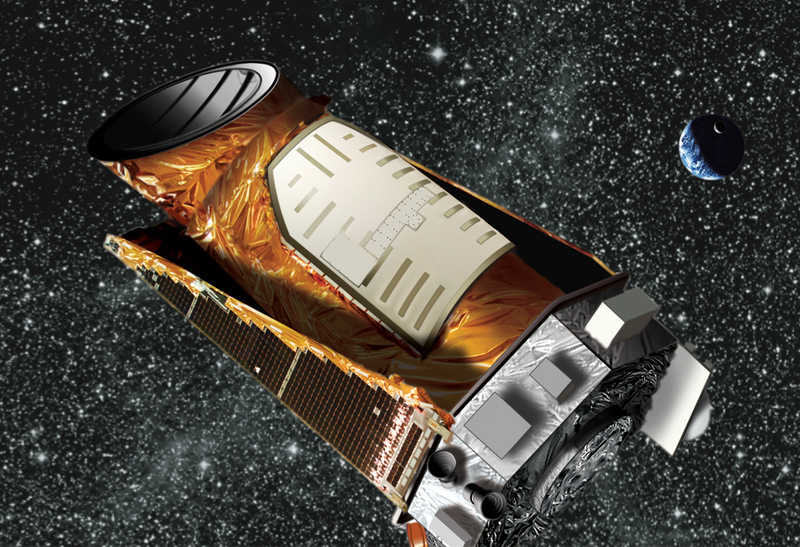 Artist's impression of the Kepler telescope. Terrestrial (rocky) planets are prime targets in the quest to find life because some of them might be geologically and atmospherically similar to Earth. Another place to look is the many gas giants identified during the Kepler mission. While not a candidate for life themselves, Jupiter-like planets in the habitable zone may harbor rocky moons, called exomoons, that could sustain life. Scientists have speculated that exomoons might provide a favorable environment for life, perhaps even better than Earth. That is because they receive energy not only from their star but also from radiation reflected from their planet. Until now, no exomoons have been confirmed. "Now that we have created a database of the known giant planets in the habitable zone of their star, observations of the best candidates for hosting potential exomoons will be made to help refine the expected exomoon properties," said Michelle Hill, an undergraduate student at the University of Southern Queensland. "Our follow-up studies will help inform future telescope design so that we can detect these moons, study their properties, and look for signs of life," said Hill.